Today we have a couple more photographs from the Inverse Days 2013 conference, which was held in Inari, Finland. 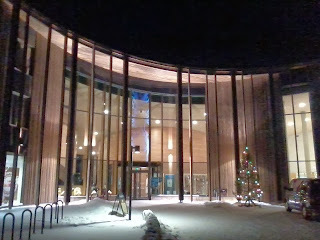 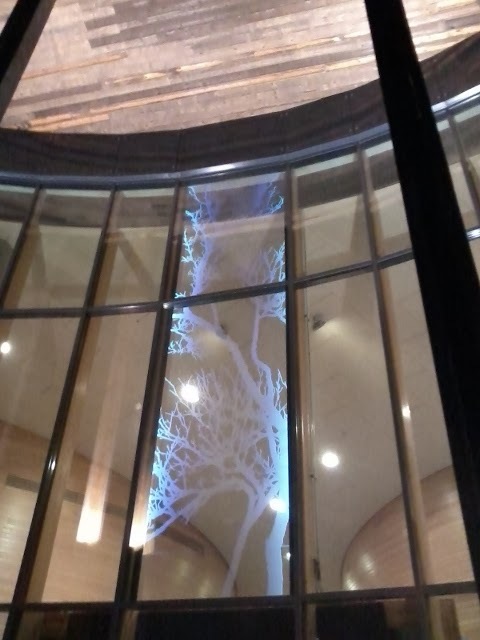 The venue was the "Sajos" Sámi Cultural Centre. At night, the building is lit up and it looks very impressive in the inky blackness of the Arctic night.